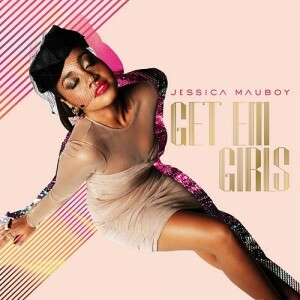 Sony Music has today revealed 30 second snippets of each of the 14 tracks from Jessica Mauboy’s forthcoming album ‘Get ‘Em Girls’. As anticipated, the whole thing sounds incredible polished and international with Jess’s voice really starring – particularly on tracks like ‘Scariest Part’. It’s our first little taster of her new single ‘Saturday Night’ (featuring Ludacris’ before it’s scheduled to hit radio, but from what we hear so far, we’re liking ‘Reconnected’ and the previously mentioned ‘Scariest Part’. Check it on our HERE. We’re led to believe that Jess will be doing a couple of in-store appearances to promote the album’s release. We’ll let you know once we find out details. Don’t get the Get ‘Em Girls hate either, it’s such a fantastic song! Is it November 5th yet? ‘Saturday Night’ makes ‘Get ‘Em Girls’ sound like pure trash. Can’t wait till I can hear it in full. Judging by the preview, it’s going to be so amazing. Saturday Night has to go to #1. It is amazing.